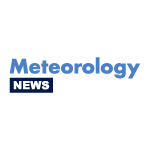 Meteorology News is the ultimate curated news site for the Meteorology community. Meteorology News is an engaging, informative and easy-to-use hub of the latest and most relevant Meteorology-focused news feeds, blogs, videos and social media chat from the best, most credible sources on the web, all carefully selected by a team of industry experts. The site will focus in particular on Meteorology, Extreme Weather and Climate Change news. Meteorology News helps to accelerate your process of discovery and better connect you with the many great writers and publishers that exist. Publishers that we feature within Meteorology News include our media partners, industry-leading publications and bloggers, those who are featured on other well-respected Meteorology-focused blogrolls and those who regularly contribute to the Meteorology community. See a headline you like? Simply click on the link where you will be taken to the original source of that story to read the article in full. Provider feeds are showcased in an easy-to-read format that streams live, with the newest stories appearing first. Meteorology News can be accessed on multiple platforms, including desktop, tablet, mobile device and Connected TV and you can also follow us across all mainstream social media channels too, where we’ll keep you right up to date with all the very best articles and latest news that appears across the site. If you have a great Meteorology-focused news feed, blog, podcast or video channel that you’d like us to include on Meteorology News, then simply contact us and we’ll add your RSS feed into the site. Similarly, if you have any ideas of new topics that you’d like us to focus on in the site or if you’d like us to share any other industry news or event, then please just contact us with details!